The fifth-generation Apple TV model offers 4K HDR video, better access to live sports, and an iPad Pro CPU, all starting at $179. Update 9/13/17: The Wall Street Journal is reporting that Disney has not signed up to offer 4K versions of its movies for the same price as HD, nor will it upgrade previously purchased movies for free. The Apple TV, Apple’s flagship streaming media box, just got a major upgrade—which shouldn’t be a surprise, considering Apple’s interest in original programming and being a cord-cutting leader. 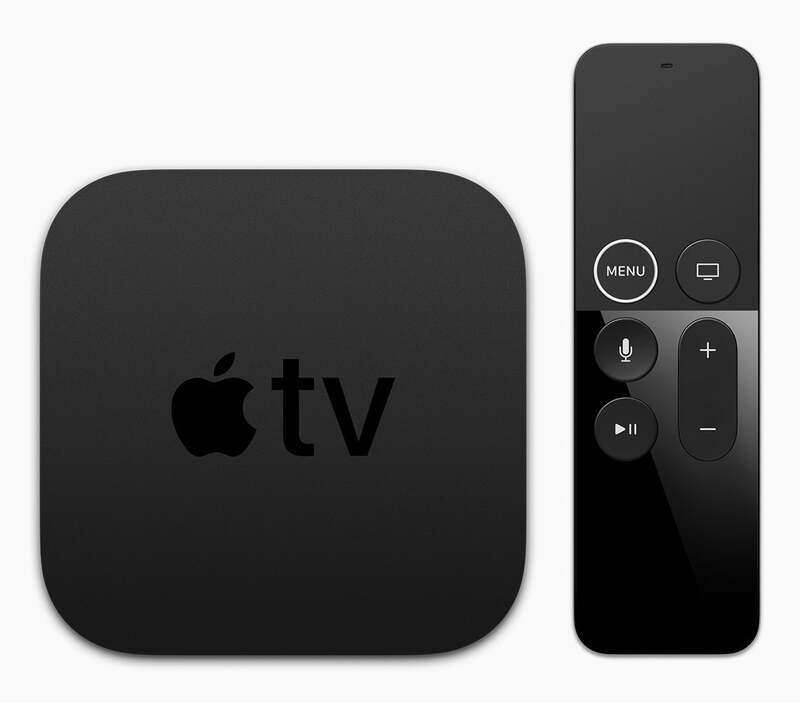 The new Apple TV 4K adds support for 4K video (naturally) as well as HDR, or High Dynamic Range, making for a significant upgrade to a product Apple once called a “hobby.” The 4K resolution offers four times the pixels of the current 1080p HD model, while HDR provides a greater range of richer colors with supported titles and TV sets. The new Apple TV 4K costs $179 with 32GB of RAM and $199 for 64GB. Orders begin Friday, September 15, and it ships starting next Friday, September 22. Customers who’ve purchased HD movies will receive upgrades in their iTunes libraries to corresponding 4K versions at no additional cost, and new titles in 4K will be sold at the same price as HD versions, with one significant holdout: Disney. The Wall Street Journal is reporting that the studio responsible for Marvel, Star Wars, and Pixar flicks has not agreed to Apple's terms. During the presentation Tuesday, logos for Fox, Lionsgate, Paramount, Universal, Warner Bros., and Sony appeared on the screen. Apple also said that it’s working with Netflix and Amazon Prime Video to bring their 4K libraries to Apple TV. Apple offered no new information on when an Amazon video app would be available for tvOS other than to reiterate that it would be available later this year. The updated tvOS, coming to the previous fourth-generation and these new fifth-generation models, expands features in the TV app introduced last year. 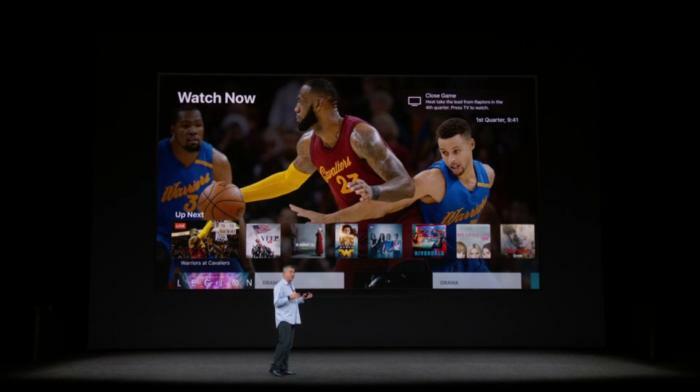 In addition to live news, the TV app will add live sports later this year, with the ability to mark favorite teams in a Sports tab (U.S. only). The revision is expanding beyond the U.S., too: In September, Australia and Canada gain access, and by year’s end, Apple said users in France, Germany, Norway, Sweden and the UK will be able to use it. Apple brought thatgamecompany’s president and creative director Jenova Chen on stage to demonstrate Sky, an exclusive game for Apple TV, iPhone, and iPad that’s described as a “romantic social” game for casual gamers. Watch live sports via ESPN on Apple TV 4K. Not all 4K titles employ HDR, a technique best known for improving the lightest lights and darkest darks in photographs. With 4K TVs that support either of the two competing HDR standards—HDR10 (also called HDR Pro) or Dolby Vision—video will have a more cinematic feel by better representing both dark and light tones more distinctly and across a broader range. A built-in scaler will also resize HD content for 4K. One word of warning about HDR, however: not all HDR-capable TV sets support the two-year-old HDMI 2.0a standard required to pass richer video, and which is built into the new Apple TV. Some early HDR TVs had to rely on apps, but not external connections, for HDR content. The revised Apple TV version adds support for AirPlay 2 later this year, which will allow control of multiple speakers using that updated technology. Apple has also slightly redesigned the Siri Remote, adding a white circle around the Menu button. This will help with visual identification of the remote’s orientation, something that’s a frequent object of criticism, although this change still requires looking at the remote rather than by feel. 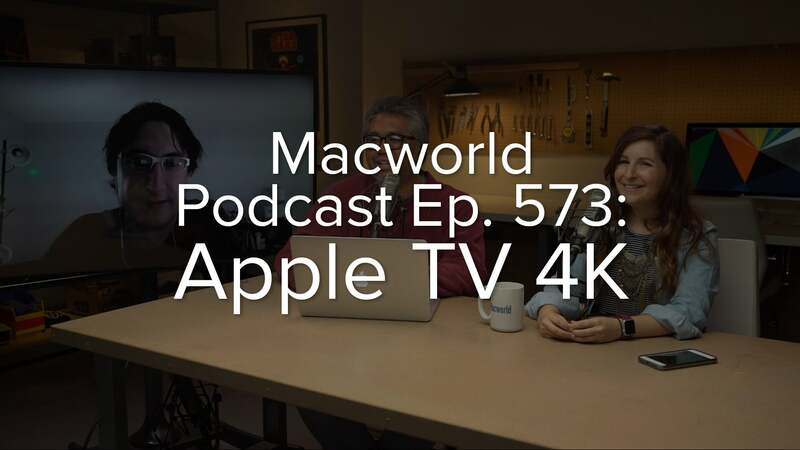 To support 4K streaming, either via the Internet or through AirPlay 2, Apple still includes 802.11ac networking with MIMO, which can handle up several hundred megabits per second (Mbps) in the right circumstances, but also finally bumped its ethernet interface from 10/100Mbps to gigabit ethernet. The hardware also now includes Bluetooth 5.0 rather than the previous model’s Bluetooth 4.0. Apple will continue to offer its HD version of the TV at $149 for 32GB.